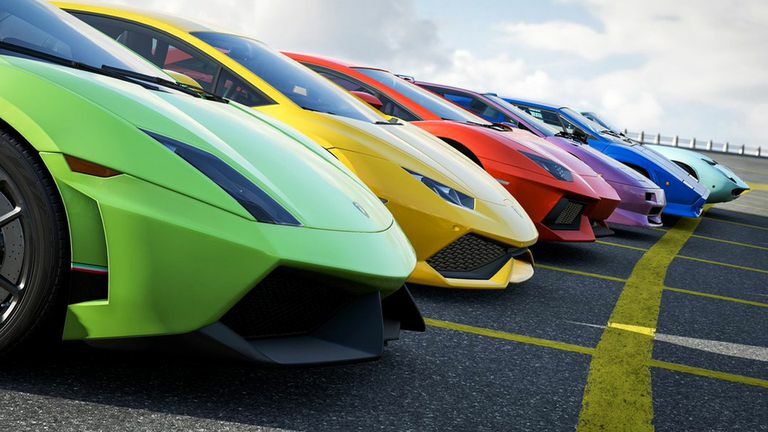 One of the best innovations in free car racing video games has been the addition of online leaderboards, multiplayer races, and even persistent open-worlds for players to explore in their virtual cars. These exciting features have a cost, however, in that their implementation requires that the games be online at all times to function properly. Thankfully there are still several good offline racing games worth playing on smartphones, tablets, computers, and gaming consoles. Here are 10 free offline titles worth downloading today. An impressive amount of content for a free racing game. Good variety of locations for each race track. Asphalt 8: Airborne does contain advertising which younger players may tap on accidentally. The realistic art style may not appeal to all players. The Asphalt racing games are easily some of the most-popular offline car games on iOS, Android, and Windows devices. Asphalt 8: Airborne is one of the best in the series as it features over 220 cars and bikes and lets players play entirely offline if they choose. A newer Asphalt game, Asphalt 9: Legends, is available but this requires a constant online connection. Asphalt 8: Airborne does contain an online multiplayer mode but its single-player career mode is entirely playable without having to connect to a Wi-Fi signal. The iOS version also works on Apple TVs. Encourages creativity in younger players. In-app purchases range from $0.99 to $19.99 for rare hovercrafts. The number of ads can be annoying. Hovercraft: Takedown is a fun free-to-play racing game that lets players create their own hovercraft to use while playing. Vehicles can have their colors and shape changed and even the type of weapons used can be customized. While Hovercraft: Takedown is one of the few racing games where you don't need Wi-Fi to access most of its content, those wanting to play its multiplayer will have to go online. Five different game modes and upgradable vehicles keep things interesting. Easy controls make it great for younger players. The environments are a bit boring to look at. Traffic Racer is like an endless runner video game but with cars. Players can choose from over 30 vehicles to drive on a freeway and must then dodge traffic by swiping left or right on the screen or physically tilting your Android smartphone or tablet to steer. This offline car game appears to be very basic at first glance but it does offer some customization options for the cars and a variety of upgrade options which encourage players to keep racing. Stunning graphics with 4K resolution available on powerful Windows 10 devices. Over 60 cars to choose from. There are only six tracks to race on. Future updates are unlikely due to major Forza Motorsport and Forza Horizon games now launching on Windows 10 in addition to Xbox One consoles. Forza Motorsport 6: Apex is a free-to-play version of the main Forza Motorsport 6 Xbox One video game for Windows 10 PC and tablet owners. Apex contains six tracks from the main game to race on, up to 60 cars to drive, and the stunning graphics engine that sets the Forza video games above its rivals. As far as free offline car racing games go, it's hard to beat Forza Motorsport 6: Apex in terms of gameplay and visual quality. Those who can connect to the internet will also enjoy Xbox Live connectivity with Xbox Achievements and their Xbox friends list but the races can be played offline. Single player races can be played entirely offline. Controls are responsive and the cars have weight. It will take some players a while to get used to the slower pace. Only one car is available at first. Hot Wheels Race Off is a racing game based on the popular Hot Wheels toy cars. Unlike many other racing car video games, Hot Wheels Race Off features a stronger emphasis on stunts and deliberate pacing to not only beat opponents but also finish each race in one piece. Races can't be won by hitting the accelerator and hoping for the best in Hot Wheels Race Off. In fact, doing so will likely result in your car exploding seconds after the race has begun. Go too fast in Hot Wheels Race Off and you run the risk of flipping your toy car but go to slow and you won't be able to make it over the loop. Strategy and timing is everything in this video game. Controls are very easy to pick up. You learn about real locations while playing. Gameplay can get a little repetitive. Graphics are very simple compare to other titles. Great Race - Route 66 is a very simply car racing game that takes players through the real-world Route 66 road in the United States. Vehicles are controlled by short swipes of the finger to the right or left and there are 15 classic cars to unlock. While Great Race may have a very simplified design, there's actually a strong focus on realism with a real-time day/night cycle that changes while you play and a variety of real locations to unlock. A strong focus on drifting sets this offline car racing game apart. Cool music with a high production value. Many casual gamers will find this video game hard or frustrating. The main menu can be a bit confusing to navigate at first. CarX Drift Racing features a realistic visual style that resembles the Forza and Asphalt car racing games but sets itself apart by its challenging driving style that incorporates slippery roads and requires frequent drifting to making it to the finish line. Naturally, online multiplayer is unavailable while offline but the Drift, Time Attack, and Training modes are fully accessible and provide a lot of content for those who like this particular driving style. Cute art style makes Hill Climb Racing 2 suitable for young players. Controls are very easy to learn and master. Lots of annoying pop-up messages when navigating the menu when offline. Some backgrounds are a little too basic. Hill Climb Racing 2 is a free-to-play racing game for Windows 10 devices that can mostly be played completely offline. Its hand drawn art style and simple controls make it a good video game for all skill levels and age groups though there's enough of a learning curve involved with completing levels to keep more advanced gamers coming back for more. Unlike most other racing games, Hill Climb Racing 2 is entirely sidescrolling and tasks the player with navigating from left to right while accelerating and decelerating to clear jumps and land right-side up. Rewards are granted for completing tasks and these prizes can be used to upgrade your vehicle or purchase new ones.